"Perhaps the only weakness of this book is in the graphical “explorations”. The pictorial imagery even if data generated, never really addressed specific landscape/plane scale design. They were more often simply formulated form. I think they would have been more powerful, if attached or developed more closely to actual site-specific issues. 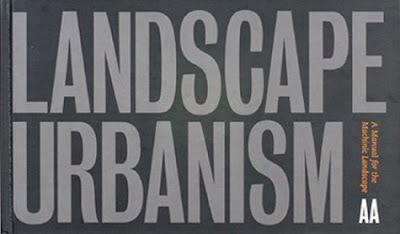 Ultimately, this book would not be as useful to a first time reader looking to grasp the field of landscape urbanism, who might be better served by an anthology such as The Landscape Urbanism Reader. Still this work which sometimes feels like a post-studio publication, is highly stimulating after even a second glance."